Liz stands frozen as Lucky yells at her to get a doctor. Lucky doesn’t understand what happened, since Liz told him Siobhan was fine. When Steve gets there, he tells Liz to leave and starts CPR. Liz tries to stop Lucky from watching. Lucky blames himself for making Siobhan stay in the country, but Liz says it’s all her fault. Liz questions Steve about what happened. She says Siobhan seemed fine the last time they spoke. Steve points out that Liz was the last person to see Siobhan alive. Liz angrily wonders why it’s so easy to point the finger at her. Steve says Siobhan can’t accuse her anymore. Liz tells him to go to hell before storming off. Steve apologizes to Lucky and tells him to take his time saying his goodbyes. Spinelli wonders why they’re at Georgie’s graveside? Maxie says her sister was very special to her and she hopes Georgie can help Spin. Spinelli accuses Maxie of using Georgie to get to him, but Maxie says Georgie was her anchor and sometimes she feels like she’ll just drift away. Maxie tells Spin that she’s here for him to hold onto should he need to reach out. Maxie gets more and more upset that she didn’t do anything for Georgie and that Spin can’t remember or feel. Spinelli tells her to calm down, because of her bad heart. Skye steals money from Edward’s safe in Michael’s office as Mabby finally return to their jobs. Skye brings Michael up to speed about the car accident and Jason’s medical issues. Michael and Abby head over to the hospital. As she standing on the docks, Carly remembers when Jax gave her the boat. Shawn interrupts and the two discuss Jax, as Jax listens. 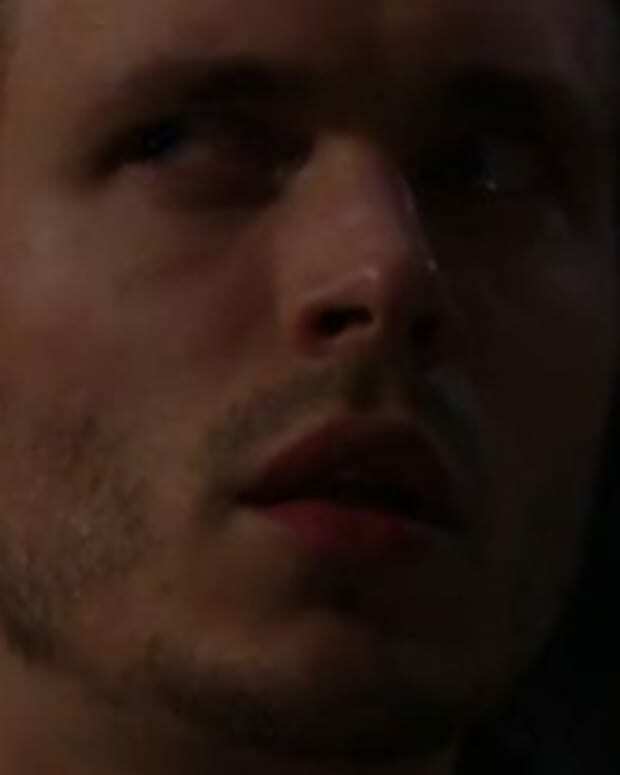 Shawn swears Jax will be found, that he’s a survivor, and wonders if Carly meant what she said to Sonny about keeping him away. Carly wishes things hadn’t gotten so ugly with Jax and would have wanted a compromise. Carly swears she’s going to cut Sonny out of the kids’ lives, because Sonny will never change. Carly wonders what she’ll tell Josslyn, about Jax but Shawn tells her not to give up hope, so Carly decides she won’t, for Josslyn’s sake. Sonny sits in the chapel and prays for Jason, the people he hurt, namely Robin, Carly and Josslyn. He’s not asking forgiveness, but thought he had permission to do what he wanted. He thought he’d be a better man and not hurt his kids, but it’s always the kids who suffer. As he’s leaving the chapel, Sonny runs into Mabby. He lets Michael know about Jason’s tests and that no one is keeping him in the loop because they’re angry at him. He explains to Michael that all he was doing was trying to stop Jax, who subsequently crashed the plane. Sonny complains about Dante and Carly thinking it’s his fault. Michael swears he understands why his father did what he did. Abby overhears and storms off. 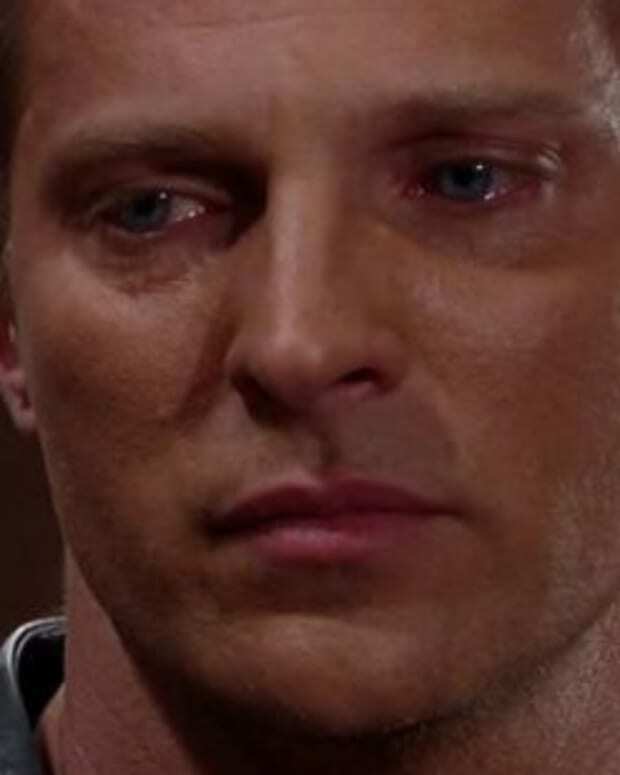 When Michael catches up with Abby, she’s upset that Sonny basically admitted to killing Jax, but that it didn’t faze Michael at all. Michael accuses her of hating Sonny and assuming he’s guilty. Not everything is black and white. Abby feels he’s got an irresponsible attitude. Skye brings Jax the money, clothes and apologizes for the delay because of minor complications. Jax points out that she and Carly are very similar, but to be careful dealing with Anthony. Skye swears she’s doing everything for her daughter. Skye wonders where he’s going, but Jax figures the less people who know, the better. Skye wonders about Josslyn, but Jax says she’ll be fine. Skye tells him that her biggest regret is that they didn’t work out. He’s the one that got away. She warns him to be careful. Back at home, Carly watches Josslyn asleep in her crib while she and Shawn discuss Jax again. She says she needs to believe that he survived. Later on, when she’s alone, she promises to keep Josslyn safe. Lucky sits by Siobhan’s side and relistens to the last message she left him. He’s sad that they were her last words. He feels he should have let her go, but was too selfish and he wanted to see what they could have. He’s sorry she walked into his messed up life. He pulls out the bottle of pills, asks her not to hate him more than she does. He takes a pill, then cries over his dead wife’s body. Steve apologizes to Liz for jumping down her throat. She’s still angry that she’s automatically, the prime suspect and swears she didn’t do anything to Siobhan. Steve says he ordered an autopsy, which should clear her. Sonny runs into a crying Abby in the hall and asks where Michael is so he can get information on Jason. Abby bitterly says she’s sure Michael will do anything for his father. Sonny asks what has upset her and Abby says she was hoping that Michael didn’t have to bend over backwards to prove his worth to his father. Sonny says he respects his son. Abby feels it will destroy Michael. Jax remembers a night with Carly, than takes one last look around the pier and walks away.